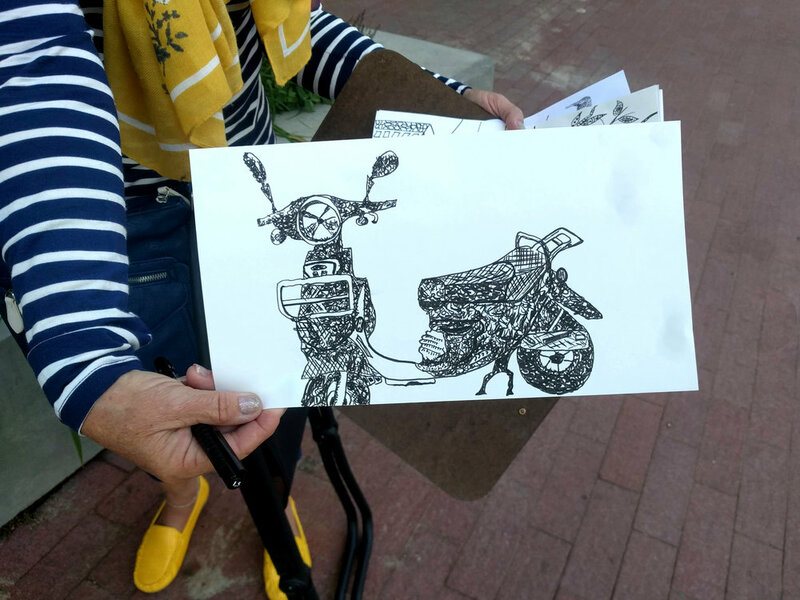 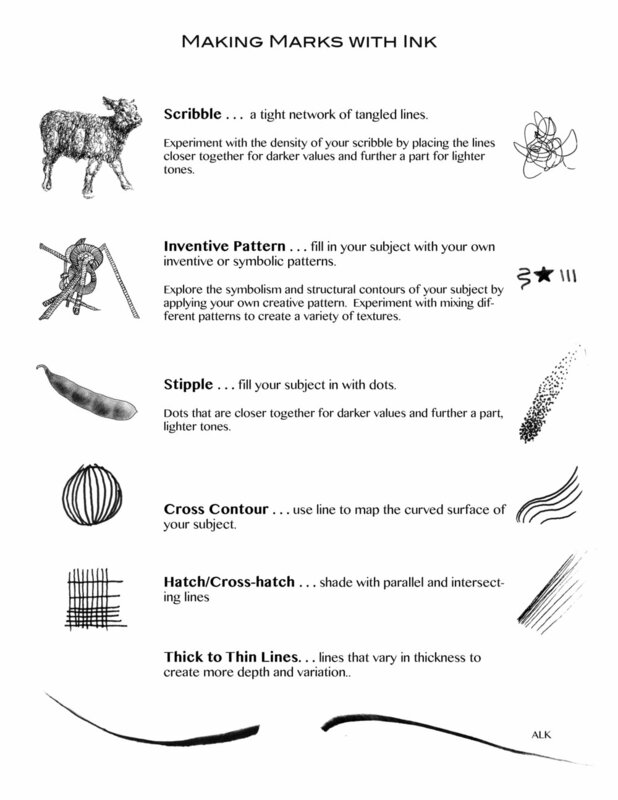 We explored mark-making techniques with pen and ink on the Denver Art Museum's plaza. 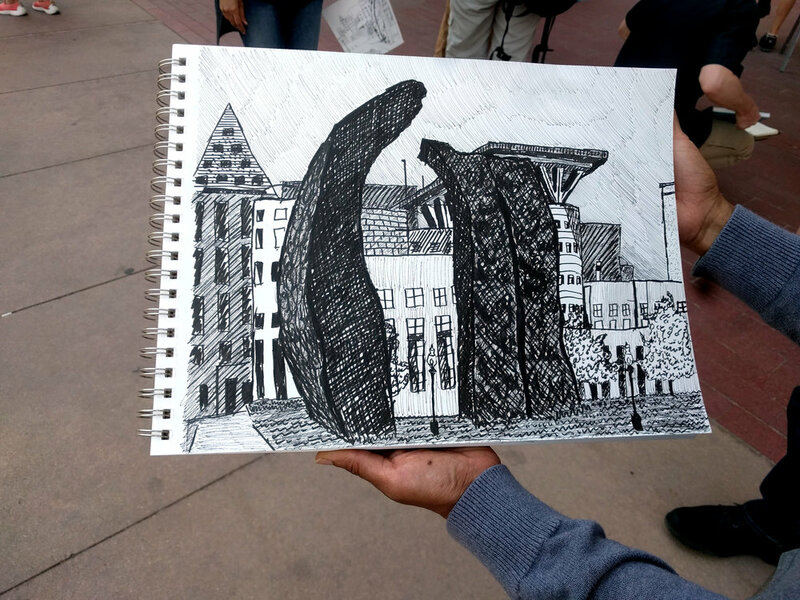 Taking inspiration from surrounding buildings, the Denver Art Museum's Hamilton Building, Beverly Pepper's Denver Monoliths, and other features on the plaza, participants experimented with contour lines, stipple, cross-hatch, scribble, and inventive pattern. 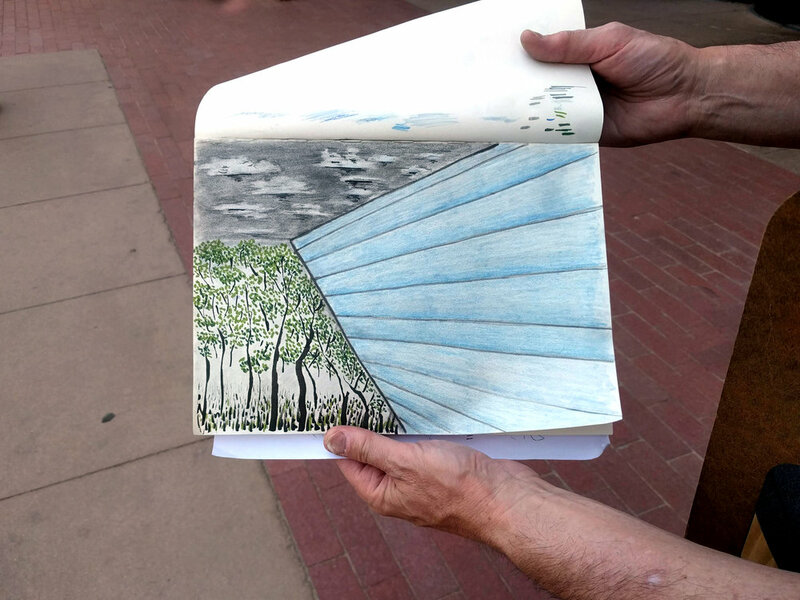 Cherie Fisk, ink on paper, inspired by Beverly Pepper's "Denver Monoliths"
Sharmina Sarvananda, ink on paper, "Denver Monoliths"